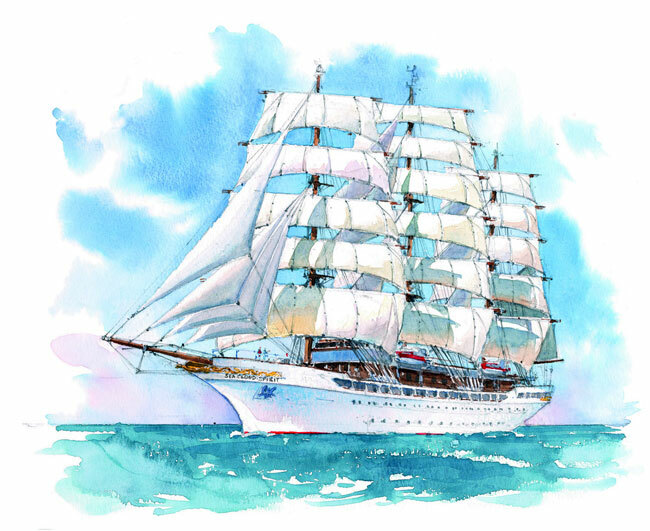 Last week, Sea Cloud Cruises announced that the long-delayed Sea Cloud Hussar would join the fleet as the Sea Cloud Spirit in 2020. Down Under, Heritage Expeditions has announced that it will be taking over the 110-berth Kapitan Khlebnikov, the Russian icebreaker that has mainly served Quark Expeditions in the past. And under its present Chinese ownership Athens’ port of Piraeus looks to be on the verge of a major expansion that will see it able to handle the largest cruise ships afloat. 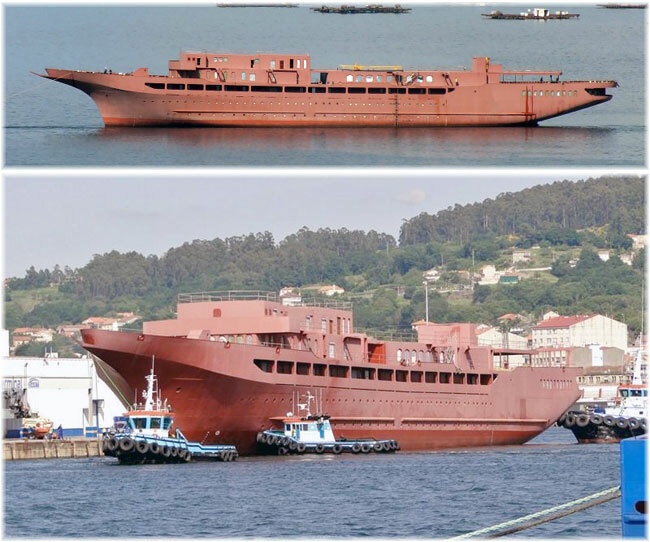 The long-delayed Sea Cloud Hussar will now join the Sea Cloud fleet as the Sea Cloud Spirit in the summer of 2020. Her original launch was scheduled for 2010, ten years earlier, but construction was halted when her builders Factoria de Naval Marin went bankrupt that same year. The existing fleet, consisting of the 64-berth Sea Cloud and 94-berth Sea Cloud II are enjoying a demand in both the general cruise market and the full-ship charter market, especially in the Mediterranean. With an extended capacity of 136 passengers, the newest Sea Cloud ship will be able to serve the charter market better while still retaining the intimacy of a private yacht. Metalships & Docks of Vigo will complete the Spirit from the existing hull of the Sea Cloud Hussar. Upon completion, the Sea Cloud Spirit will take up her role as a typical square-rigged tall ship, with the usual Sea Cloud classic yacht-like feel. Twenty-five of the sixty-nine outside cabins, including the three Owner’s Suites, will be equipped with balconies. There will also be a spa and fitness area. New Zealand-based operator Heritage Expeditions has announced that it will be taking on the world-renowned Russian icebreaker Kapitan Khlebnikov with its Russian Far East Wrangel Island voyages, starting in 2019. 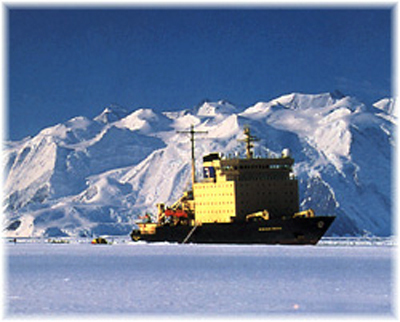 The Polar-class icebreaker holds the passenger ship record for the most crossings of the Northwest Passage and has also circumnavigated Antarctica – twice. Built in 1981 by Finland’s Wärtsilä Company and one of four “Kapitan Sorokin” class icebreakers, Kapitan Khlebnikov has comfortable surrounds in a formidable Ice Class 1 reinforced vessel powered by 24,000 horsepower diesel-electric engines giving her the capability of breaking ice more than six feet thick. “The addition of Kapitan Khlebnikov to Heritage Expeditions’ fleet enables us to provide an unrivalled platform for High Arctic exploration combining the exceptional navigation capabilities of this magnificent vessel with our intrepid expedition programs and experienced team,” says Heritage Expeditions General Manager Dave Bowen. Recently refurbished, Kapitan Khlebnikov comfortably accommodates up to 110 passengers in well-appointed and spacious cabins and suites featuring large windows that can be opened. Common areas include large open decks, two dining rooms, a theatre-style lecture room, heated indoor pool, sauna, gymnasium, fully-stocked library, bar and lounge. 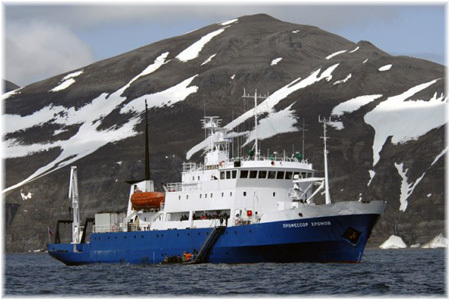 Since 1993, Heritage has operated the 50-berth Spirit of Enderby, which is in reality the Russian oceanographic research vessel Professor Khromov. Voyagers aboard Kapitan Khlebnikov will continue to enjoy Heritage Expeditions’ signature, gourmet cuisine alongside a premium selection of New Zealand wines, as well as enjoying exceptional views from the bridge, under its open, bridge policy. Equipped with a fleet of 10 Zodiacs manned by Heritage Expeditions’ experienced expedition team, this will ensure that guests continue to enjoy their maximum time on wildlife encounters and ice exploration. 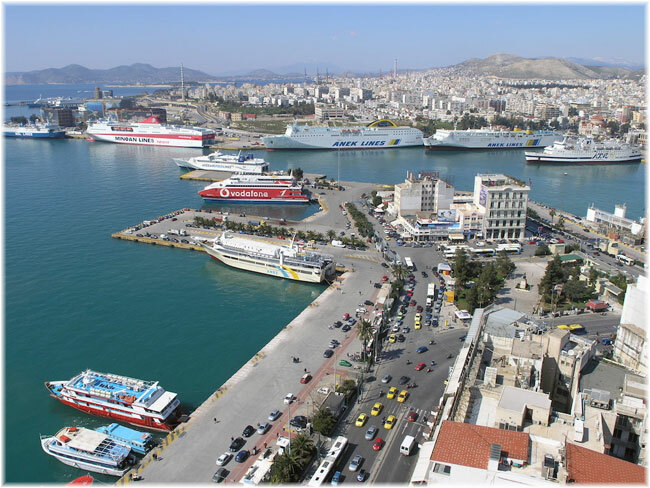 Piraeus is them biggest seaport in Greece and among the largest ports in the Mediterranean. The Port of Piraeus is operated by the Greek company Piraeus Port Authority (OLP). In 2009, OLP was taken over by China’s COSCO Shipping under a 35-year-lease that calls for the redevlopment of the whole port. On the cruise side, Piraeus is both a turnaround port and a port of call for itineraries serving Italy, Greece and Turkey. In 2014, Piraeus was Europe’s busiest passenger port, handling over 18.6 million passengers (including ferries and cruise ships). The majority of this is ferry traffic. In 2017, the cruise port began a cruise expansion project to build two new berths plus four mooring slots for very large-sized vessels, as well as upgrading the existing berths. The new docking points will be on the port’s southern side and will allow the handling of vessels with a length overall of up to 1,280 feet. The new terminal area will also include a luxury hotel, shopping mall and entertainment and dining venues. COSCO management plans to make Port Piraeus a major Mediterranean cruise hub, partly dedicated to serving the booming Chinese market. Piraeus Port Authority has earmarked €169 million for this project, and will be able to serve up to four next-generation cruise ships at once on completion of the project. The intention is that this will allow Piraeus to increase its home port business for cruise ships, with passengers both embarking and disembarking, and providing higher added value to both the port and the local economy. In spite of the general rise in tourism in the country, annual cruise revenues in Piraeus have remained static in recent years, at around €500 million. At the same time, the project is in line with the contractual obligations of OLP’s Chinese owners to invest €300 million from 2017 to 2022. Expansion of the port’s container business is part of this plan, in conjunction with China’s “Belt and Road” transport scheme, which is intended to connect overland belt routes with maritime sea roads. Piraeus’ container business last year was about 6 million twenty-foot equivalent units.